The archery bow vise is considered an essential tool for any professional or home bow shop. Some say tuning a bow with a bow vise is like repairing a transmission on the kitchen floor. An author writing of bow vises commented that attempting to work on your bow without one is like trying to fix the transmission of your automobile on the kitchen floor. This image gives a good idea of the value and main use of the bow vise. It is a tool that is designed to put your bow into a position where it can be “worked on” and to hold it there. The common bow vise mounts to a work surface and where it is used, that area becomes your own bow shop. 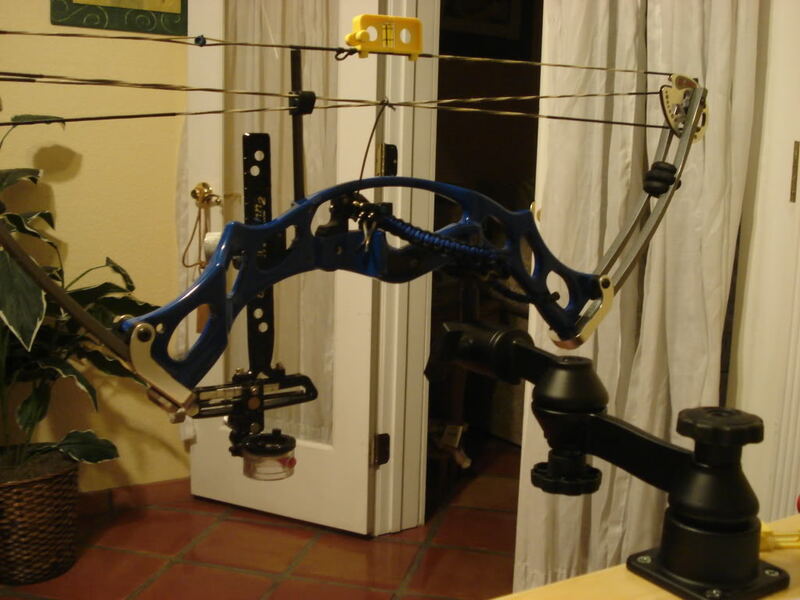 There are several other tools that are recommended for use in a home bow shop. 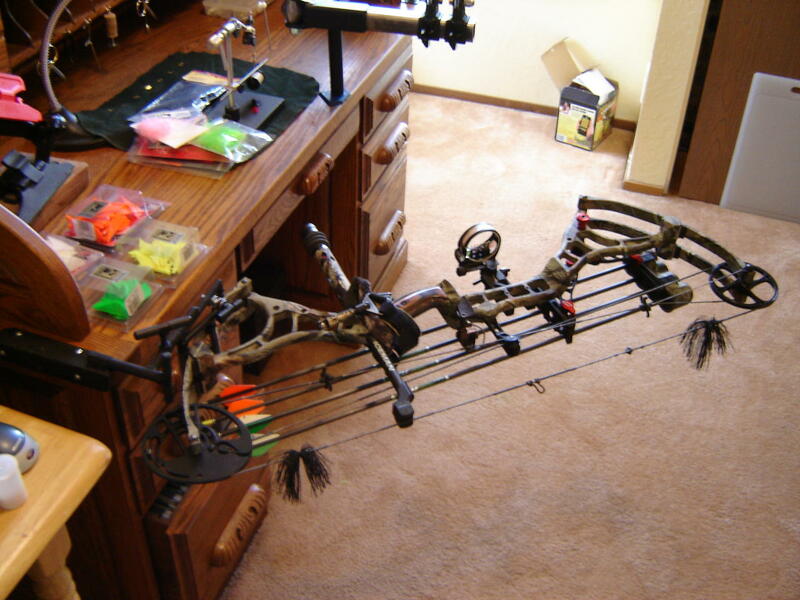 It is possible to put together your own bow shop with an output of just under $500. Some of these items are a Chronograph which measures arrow speed. One of the main ideas of bow tuning is to increase arrow speed which increases penetration. A paper tuner is another tuning device. A paper tuner can be constructed from a simple cardboard box. It works by shooting an arrow through a piece of paper, such as butcher paper or even newspaper, into a target about an arrow’s length behind the paper. The idea is that a very small hole indicates a perfectly tuned arrow. Two other elements of the home bow shop are a bow press and a portable tool box. When you have all of these, your home bow shop is fairly complete and you are able to improve, tune, and maintain your bows and arrows. It is the bow vise that is the key to this collection. They are available from a number of archery supply dealers. They differ from ordinary vises in their ability to rotate. This feature is reflected in names such as the “360 degree vise” or the “infinite position” vise. The idea is rotation of the bow to any position necessary to perform maintenance on it. When you become serious about archery, you become serious about the care and maintenance of your bows and your arrows. The two are inseparable. Archery is a sport that is carrying on a tradition that dates back to the dawn of time. The early archers needed to be able to tune and improve their bows in order to survive. If you are serious about carrying on this ancient tradition, you must become skilled in the workshop as well as on the range or in the woods.